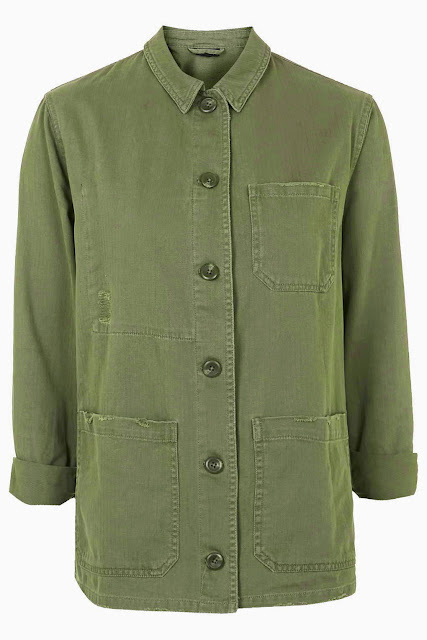 From khaki , to floral, to tailored to Trophy jackets I have tracked down the best on the high street now..
A bloggers favourite, this is a smarter Khaki jacket perfect for over jersey maxi dresses. 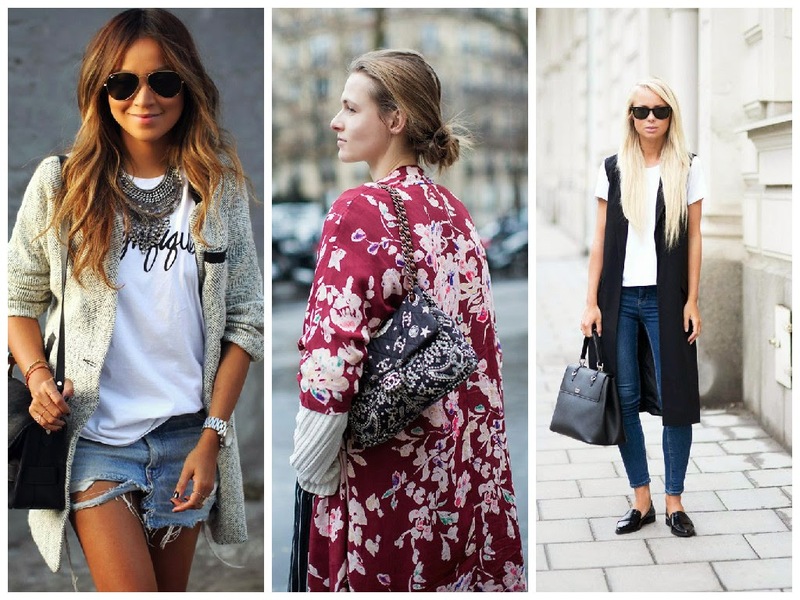 A slouchy look, perfect for looking stylish for the schoolrun. 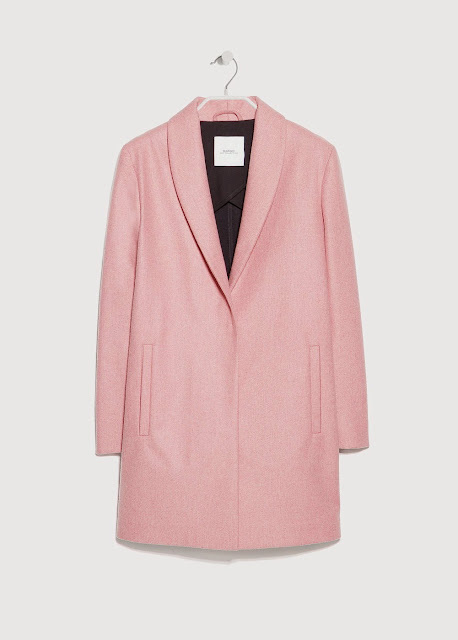 Would look fabulous with a breton, denim shorts and superga trainers, add a pop of colour with an orange bag. This jacket is super useful, can be worn as a jacket or as a shirt, would look great with denim cut off shorts/skinny ankle length jeans, a boho top and strappy sandals. 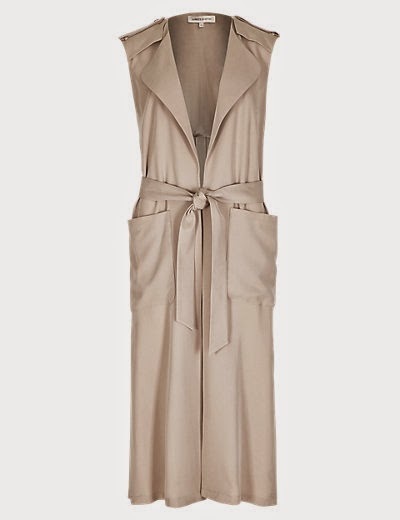 A great summer coat, this is fairly substanial lined, linen would be perfect for a wedding over a cream dress with gold accessories, or wear with a crisp white shirt and a pair of blue skinny jeans and flat tan strappy sandals. 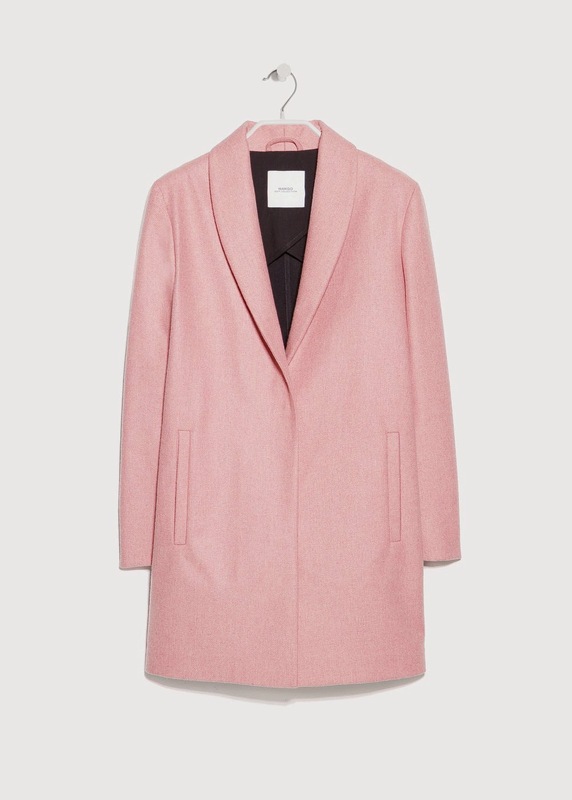 As you know I do love a pink coat, I am still smitten with my M&S coat 2 years on, this would cheer up any cloudy spring day. A vibrant red, this coat is quite heavy and will be perfect for those really chilly Uk Spring days, it will see you straight through to the winter. I love clashing a red coat with a pink or turquoise bag for a cool look. This is slightly over the top with pom poms and jewels but I kinda love it. A cross between a jacket and a cardigan, perfect for the summer. This cardigan/jacket is great if you are planning on taking a monochrome wardrobe on holiday, add splashes of colour with accessories. This would look great over a black jumpsuit for a chillier evening. 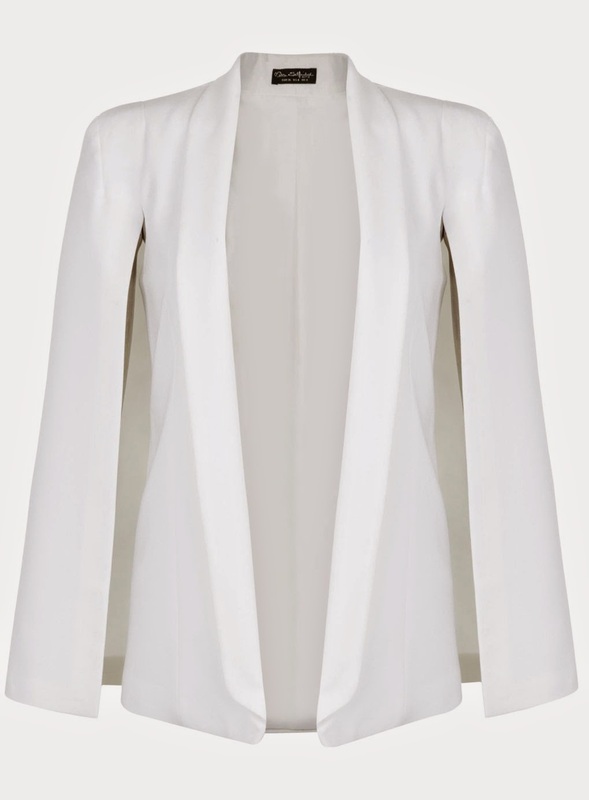 A real statement jacket, keep the rest of your outfit simple, would look great with a grey tee, distressed jeans and flat tan strappy sandals. This is an surprisingly versatile piece to have in your wardrobe, can be worn alone or worn over a denim or leather jacket. 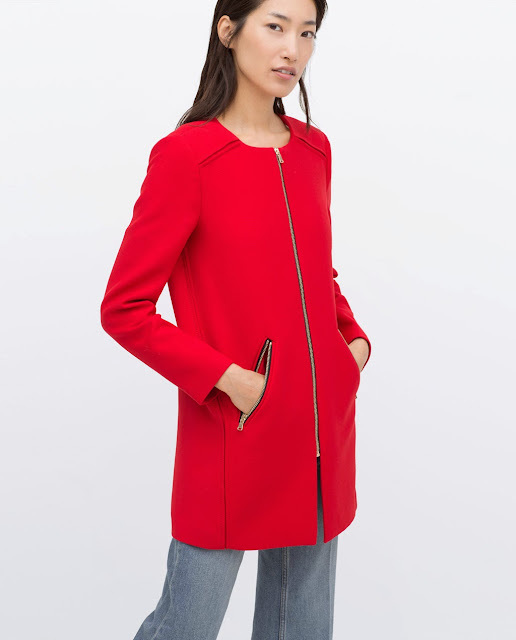 Not sure I am really doing this coat justice in this photo, it needs to be worn with closer fitting clothes underneath, I would wear with a navy shift dress and tan heels, or a white blouse, blue skinny jeans and high strappy sandals. 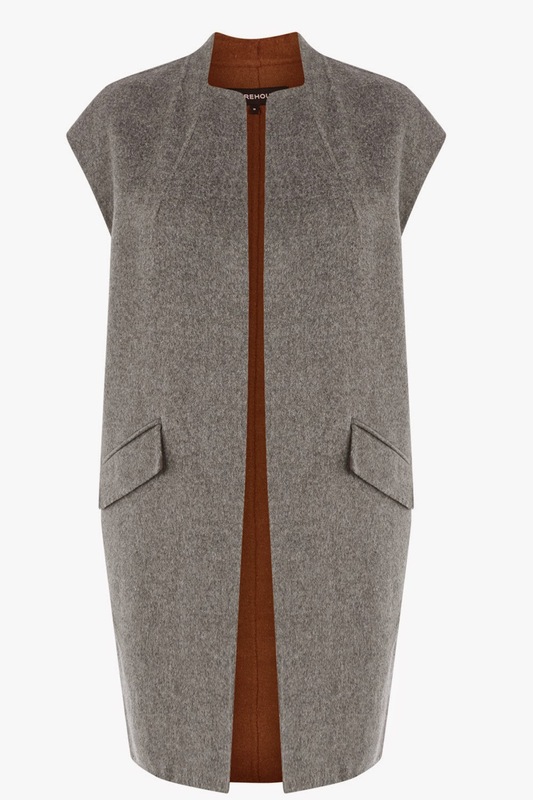 This is pricey but a really lovely tailored fit, a great length too..
A twist on the traditional blazer, the arms have been split for a cape look. Wear for an evening out over a black jumpsuit and heels or for a more casual look wear with a grey tee, distressed jeans and tan accessories. 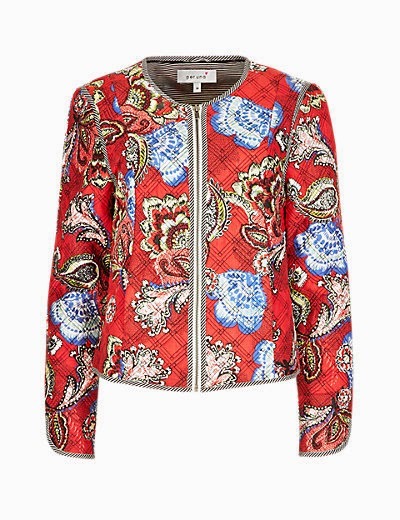 Love, love this Cos Stores jacket, I am afraid I cannot find it online but it is most definitely in stores. It is a denim fabric and has the most fabulous draping cape detail at the back. Can be worn with jeans or dresses, would look great with cargos and heels..this is one I am buying! 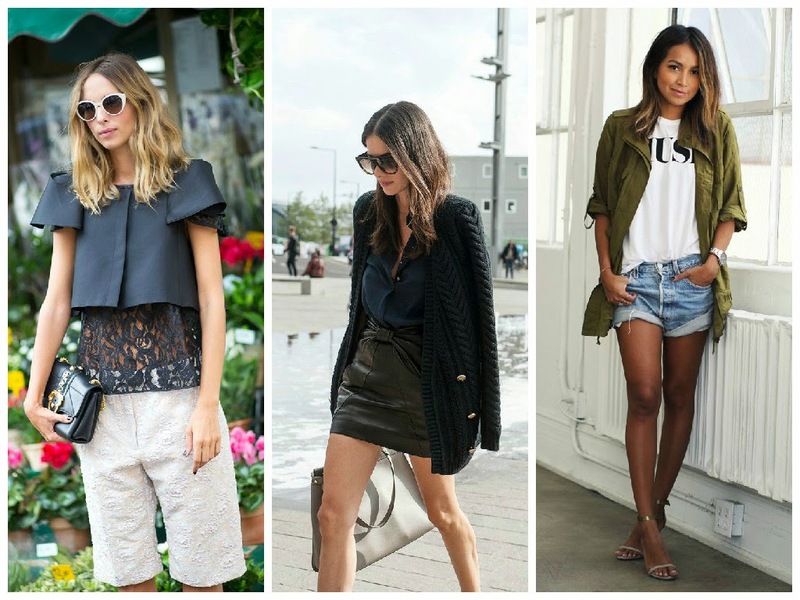 That navy blazer is to die for on you! I love your jacket unstructured and asymmetrical, it's beautiful. The look is perfect with jeans and nautical shirt. The look in spring coat is also beautiful. 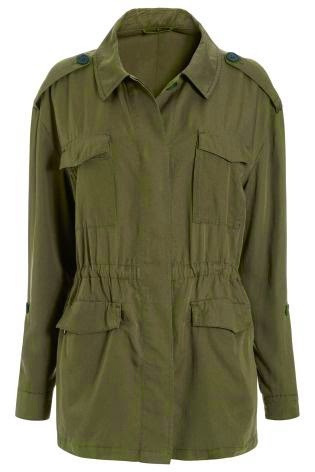 I love the khaki topshop jacket! Will be tracking this down! 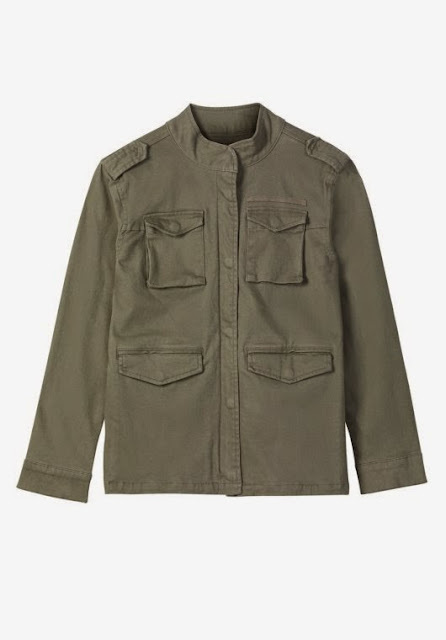 I think I'm going to have to buy the khaki jacket too! The Massimo jacket looks gorgeous.